We’re dubbing 2019 the year of exploration! 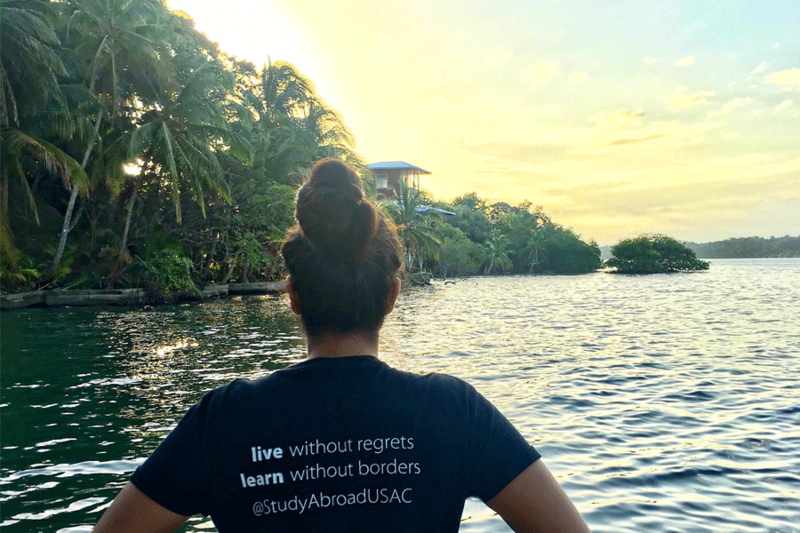 If you’ve been thinking about studying abroad, there’s no better time than the present. 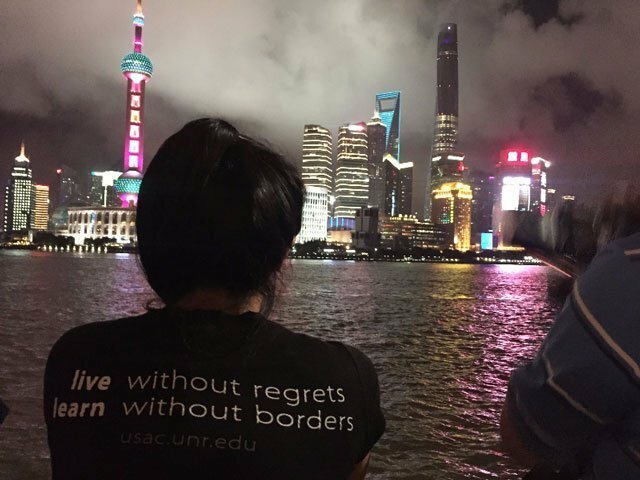 With more program locations than ever before, USAC can send you around the world. The hardest part of studying abroad is deciding where you’ll go. So why not start with a location that matches up with your personality? 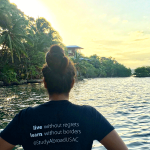 Explore USAC programs below and click on the collapsible title to discover more about your next study abroad destination! Pau sits among the Pyrenees in southwestern France. Its location is perfect for those looking for outdoor excursions in the mountains, snow sports, and is just one hour from the beach! 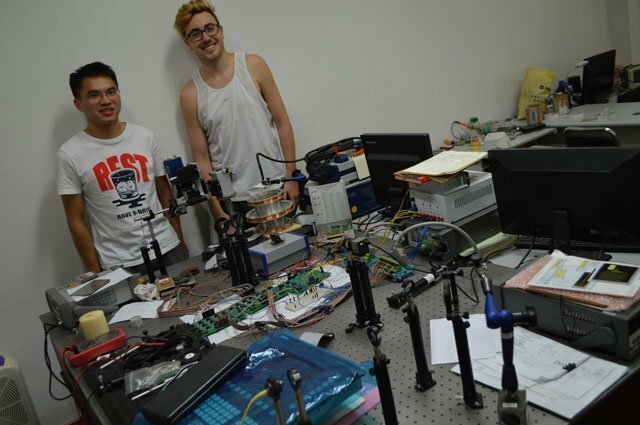 Field trips in Pau will give you a taste of all the region has to offer. Heredia is a quaint town with big outdoors in Costa Rica. It’s known as la Ciudad de las Flores (City of Flowers) because of its beautiful mountain scenery, lush vegetation and abundant gardens. Field trips for the program include trips to nearby volcanoes, waterfalls, and hot springs and include unique activities like zip-lining, walking the hanging bridges, and seeing both the Atlantic and Pacific oceans from the top of “El Coloso,” the highest active volcano in Costa Rica. Stellenbosch is a major destination for art, culture and dining, but nothing compares to its wide array of outdoor activities. Explore Cape Town, Table Mountain, and Cape of Good Hope to see the dramatic scenery that South Africa has to offer. You can also join clubs and organizations at Stellenbosch University in various areas including mountain climbing. Surrounded by hills and fjords, Oslo is the perfect place for your adventure to begin. The surrounding countryside offers endless opportunities for hiking, rock climbing, biking, skiing, and water sports. Chile is home to incredibly diverse topography. You’ll find surfing, hiking, and several other outdoor activities just 30 minutes away from Santiago. Field trips include exploring nearby towns and sandboarding in the dunes by the ocean, and Patagonia is close enough for a group to plan some independent travel! Wellington offers the benefits of a large urban area while maintaining a smaller feel and satisfying the needs of those who thrive in the outdoors. Many of the city’s residents walk or jog to work, and nearly all residents are within two miles of the sea. Thanks to its coastal location, residents and visitors alike have easy access to over 300 miles of coastline and over 200 miles of mountain bike and walking trails around the city. San Sebastián sits in the Basque Country of Spain, near the French border. It’s lively culture and food scene is a large reason to visit. The beautiful city is home to the most Michelin-starred restaurants in Spain, but is also known for its many pintxos (tapas) found in the Old Quarter, where a more ancient view of San Sebastián can be seen. Experience the culture of the Spanish Basque Country in Bilbao! Bilbao is the largest city in the Basque Country and offers a variety of cultural events, museums, and sports activities to enjoy with locals. The culture of Chiang Mai can be found on every street corner, each one hosting a different food stand or temple (there are over 700 within the city of Chiang Mai alone). The famous “night market” is a sprawling tourist attraction that offers all sorts of trinkets, local handicrafts, food shops, and shows. Its tiny passageways and colorful booths are great fun to explore, however there are many side streets of shops and restaurants away from the touristy zone where students can find authentic local cuisine and truly start to experience all that Chiang Mai has to offer. Nagasaki offers much for those looking to embrace the Japanese culture. From concerts and plays to numerous festivals, there’s an array of opportunity to learn about the city’s history, get involved in the community, and immerse yourself in the culture. Gwangju is rich in cuisine, natural scenery, and culture and art, with exhibitions, festivals, and colorful, vibrant performances throughout the year. Sports, music, and cultural festivals are not to be missed as well as Chungjangno, the “street of youth,” a street festival featuring performances, contests, exhibitions, and interactive arts that take Gwangju back in history to the 1970’s and 1980’s. If you want to experience a truly different way of life, look no further than Bengaluru. Being the fifth largest city in India, it has a mix of modern and old, with no shortage of Indian culture. You’re guaranteed moments of culture shock as you walk along the various streets with masses of people, experience spices and smells you’ve never encountered before, and take in everything that makes Bengaluru vibrant. Chengdu may not be the largest city in China, but don’t be fooled–with 12 million residents, it’s by no means a small place. Chengdu is a city where past meets present; high rises and fashionable shops give the city a modern feel, while the street markets and traditional tea houses add a taste from the past. Between the people, the culture, and the language, you’re sure to get your fix of culture shock in Chengdu, and maybe even become fluent in Chinese language along the way! You’ll find it easy to stay green in this vibrant university town with a medieval setting. The local university is making a name for itself in sustainability studies and USAC is jumping on board. You’ll have the opportunity to participate in classes like Global Environment and Energy Politics to name a few. Surrounded by national parks and reserves, San Ramón is the ideal location for courses in tropical ecology, tropical marine biology, conservation biology, environmental policy and other life science topics. In this program you’ll learn from the natural beauty and biodiversity of Costa Rica with field studies, courses and internships not offered at other Costa Rica locations. Located at the end of a sandy peninsula, Puntarenas puts you within a short distance of some of Costa Rica’s most magical national parks and nature reserves. 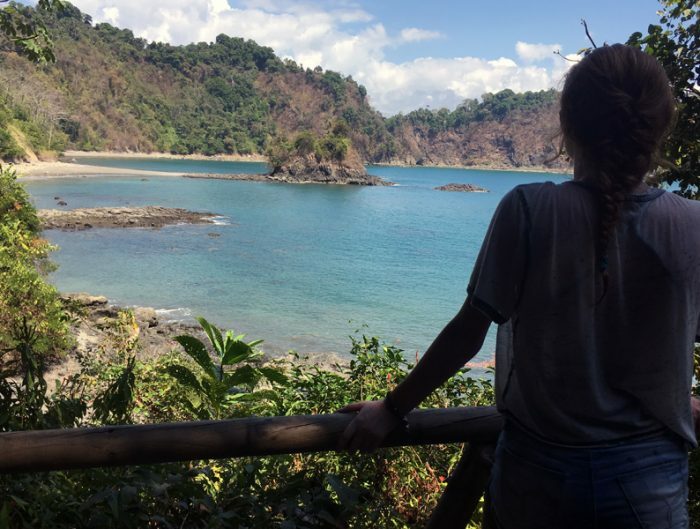 You can participate in independent research or volunteer in a field-related institution, but the active environmentalist will have no problem feeling right at home in Puntarenas. 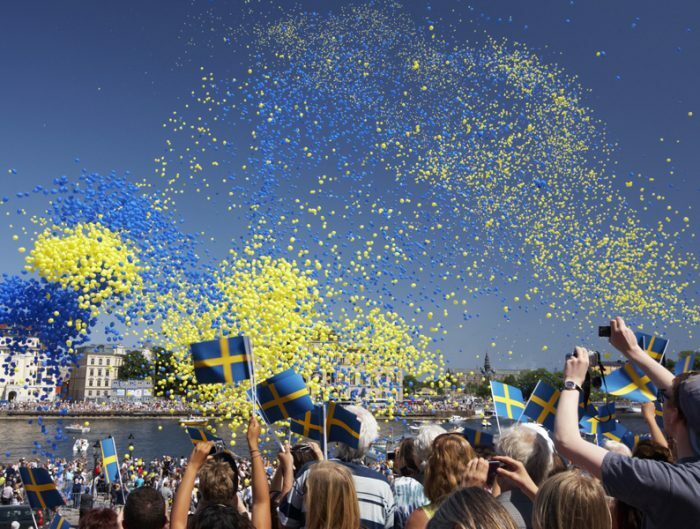 Linneaus University in Sweden is helping pave the future of sustainability and you can be a part of the movement! Choose from a variety of courses in biology, ecology, environmental science and technology and health sciences. You’ll also find the city of Växjö environmentally friendly surrounded by forests, pristine lakes, hiking trails, and unspoiled countryside. Known for having one of the highest qualities of life in Italy, Reggio Emilia is the perfect city to get around via bicycle and enjoy a slow-paced lifestyle. The city is home to many vegetarian and organic restaurants and shops, and strongly believes in healthy living and appreciation of the environment and outdoors. With all the natural wonders and unique Kiwi cultural experiences you won’t get anywhere else in the world, New Zealand is the ideal place to live and study. The summer Hawke’s Bay program is ideal for students studying agriculture, agribusiness, environmental science, and wildlife management who are interested in a unique experience that pairs a two-week National Expedition field study with a four-week professional internship placement. 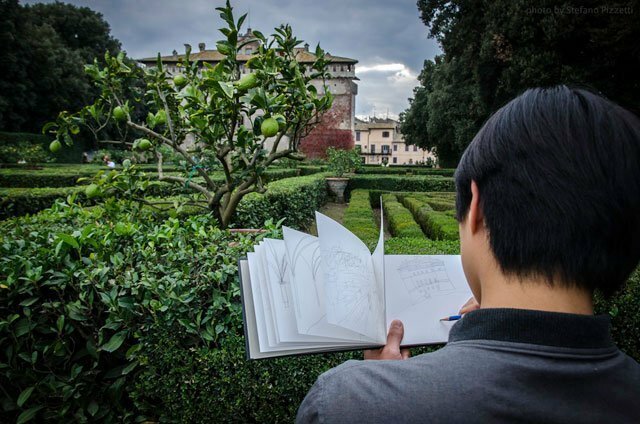 Verona is famous for being the setting for many of Shakespeare’s plays, but it’s also home to several museums and opportunities for students interested in the study of the arts. More than just the capital, Madrid is the cultural epicenter of Spain. Known for its art scene and world renowned museums, the city is a worthwhile visit for anyone interested in architecture and the arts. Live like the Lumière brothers in their hometown of Lyon! The Institut Lumière is named after them and their creation of the first moving pictures. The city is also an important center for French culture and history, much of which can be learned through the theatre and arts presence. London is the artistic center of the UK. It rivals Rome and Paris with its many libraries and museums, some the finest in the world. Those looking for a location to inspire the inner artist need look no further than London. Bristol is the perfect muse to your inner artist with its scattered Georgian homes, harbors filled with collections of sailboats and ships, and picturesque water features and bridges. The arts flourish with opera, independent cinema, ballet, world-class theatre, music of every kind, and art galleries ranging from the classical to the avant-garde. It is also home to Wallace and Gromit, graffiti artist Banksy, and numerous music groups. Kraków, the second largest and one of the oldest cities in Poland is overflowing with history. Formerly the central site for the Nazi General Government and accommodating more Jewish residents than any other city in Europe during WWII, there’s much to learn from the history in Poland. If you have a particular interest in Holocaust studies, Kraków is the place for you. Step back in time in Viterbo! The city has kept a fascinating historical record of its past, better than almost any place in Italy. Protected by a medieval wall, Viterbo’s fountains, palaces, quarters, and churches all exemplify its glorious and eventful heritage of art and culture. With every corner you turn, there’s a new piece of Viterbo’s history awaiting you. Hiroshima is an energetic and thriving metropolis with excellent shopping, movie theatres, restaurants, and cultural activities. The city was devastated by the atomic bomb in 1945, but its present prosperity is living proof of the energy and willpower of the Japanese. Except for the Atomic Bomb Dome, there is little left to remind you of the devastation. Hiroshima is surrounded by many small towns and farming villages, where you can find history, culture, and traditional Shinto music and dance. The history of the town pre-dates the university (founded around 1410). There is evidence of a settlement on the site as early as the sixth century. The cathedral was founded by Arnold Abbot of Kelso in 1160 and completed in 1318. Today, the ruins of the castle and cathedral stand over the town that is alive with students and locals, but each street can take you back with its medieval street plans, houses of stone, city walls, and old buildings. With several museums of history, culture, and art, the country’s largest port, an active beach, and UNESCO World Heritage Sites, Haifa is a multicultural, multifaceted city in which to live and study. Heritage seeking students will find a variety of academic course options in contemporary Israel and Middle East Studies, Hebrew and Arabic Languages, History, Philosophy, Religious Studies and more. Find yourself and your roots in Cork! This beautiful seaport city is second largest in Ireland and just a short train ride away from Cobh (Queenstown), the last port of the Titanic and where many have begun their immigration journey to the United States. Take a genealogy course during the summer or visit the genealogy center on your own to trace back your roots. Trace your Irish roots while exploring a vibrant, cosmopolitan city. Home of the Galway Film Fleadh and the Galway Arts Festival there’s no shortage of Irish heritage to be experienced in Galway. A genealogy course will help you discover your family history and courses in Gaelic Language, Irish Music, and Irish Literature will top off your heritage seeking summer. Activities and field trips will allow you to explore a country rich in African cultural and historical sites, including the slave castles. 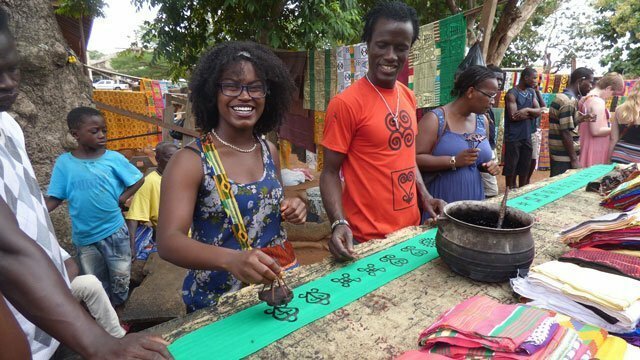 Courses such as Ghanaian Culture and Natural Resources, Twi Conversation and Culture, Family, Society and Development in Ghana, provide education you most likely cannot get at your home university. The perfect place to explore your Scottish heritage, Stirling is located in the center of Scotland, between Glasgow and Edinburgh. It has a long and colorful history, and many sixteenth- and seventeenth-century buildings have been preserved and still are used as homes, tourist sites, and restaurants. Alicante is a unique seaside city on the coast of the Mediterranean Sea. Alicante’s broad, four-mile-long beach of San Juan is considered one of the finest in all of Spain and its sandy beaches can be enjoyed most of the year. Sunbathing, swimming, windsurfing, sailing, snorkeling, scuba diving, and more are available, some even for class credit! Located on Spain’s southeast coast, Valencia is a Mediterranean city in all aspects. Popular activities include strolling on one of the city’s seaside promenades (the longest of which stretches 7 km, or over 4 miles) and swimming at beaches that have received the highest environmental awards. Valencia is best known for its City of Arts and Sciences which houses Europe’s largest aquarium for those interested in sea life, and more. While studying in Valencia, you can also supplement your courses with an elective in sailing. Florianópolis is located on the island of Santa Catarina of the southern coast of mainland Brazil. The island boasts sandy beaches and a warm sea. Throughout the year, swimming, windsurfing, sailing, snorkeling, and other water-based activities are available. Courses are available in the environmental sciences and past students have even interned at otter sanctuaries! 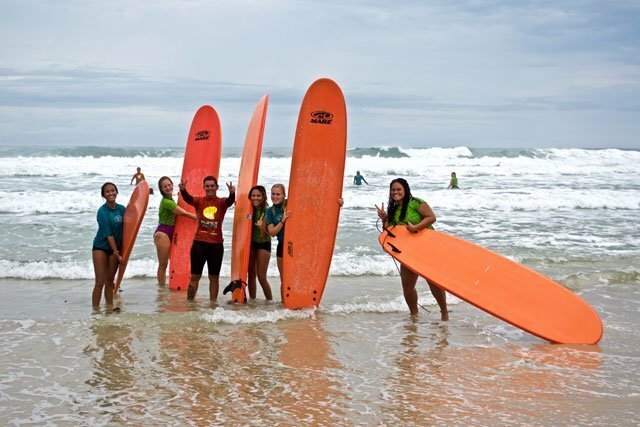 Gold Coast is famous for its miles of surfing beaches and offers many water sports to partake in. It’s also close to the Great Barrier Reef, famous as being the largest reef in the world! Brighton is a renowned seaside resort city on the south coast of England. After classes and on the weekends you can walk along the popular pier, stand among the cliffs and admire the beauty of the Atlantic, stroll on the 8 miles of beaches, or visit Beachy Head to enjoy some of that salty sea air. If you thrive in the big city, Melbourne is the place for you. Situated in the state of Victoria, the smallest state of Australia but with the second largest population, the 5.2 million people in the area are sure to give you a wide variety of diverse cultures and languages you could only get in the big city! Seoul, the capital of Korea, is the largest city in the country with a population of over 10.5 million. If busy streets and an endless calendar of events are what you’re looking for, Seoul is your place to call home. Shanghai is one of the world’s greatest cities. Its skyline boasts many colorful high rises, revealing the modern face of China—one of sophistication, big business, vibrant art and culture, and fine cuisine. This big city is home to 16 million residents who are the backbone to all of the businesses that give Shanghai its vibrancy and hustle and bustle. Osaka’s history and influence on finance, trade, and exchange provide a metropolitan feel that draw many to the area for work. With its 2.6 million residents, it is the second largest city in Japan, providing a culturally rich experience. Prague has had a large influence politically in Europe throughout the years. Learn about it all in the political science courses available to you and the Vienna and Budapest Field Study where you’ll learn about International Relations and Political History of the Central European Region. Learn from a different side of politics and history in La Habana, Cuba. With classes on government, politics, revolutions and globalization, there’s so much to learn in this politically rich and interesting country. 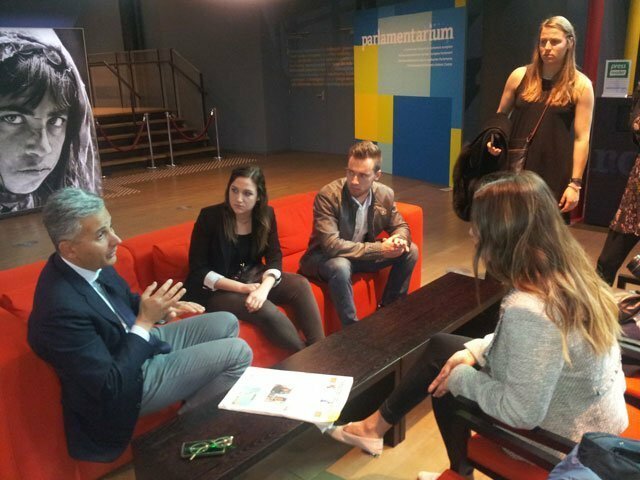 The United Nations System Staff College is headquartered in Torino, Italy, leading to many opportunities for those interested in politics. 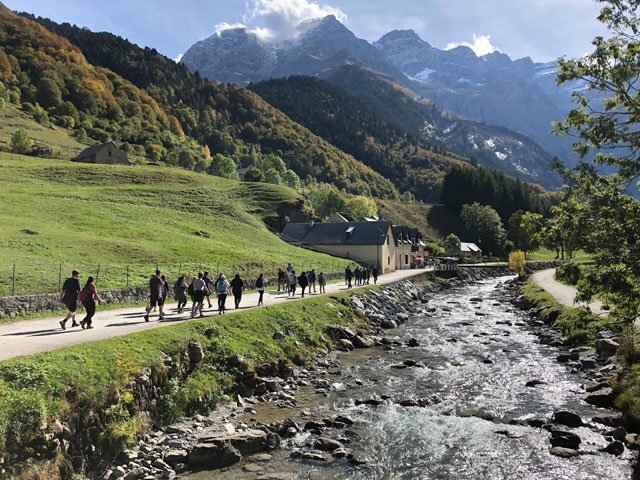 With courses in politics and diplomacy, and field trips to Brussels and the EU headquarters, the experience truly is once-in-a-lifetime. You may have heard of Maastricht before from the Maastricht Treaty or the Treaty on European Union that created the European Union. It was here in Maastricht the treaty was signed and the European Union was born along with the Euro. Its political significance is reason alone to visit this Dutch city! The Netherlands was one of the six founding members of the European Union, and The Hague is often referred to as The City of Peace. It is home to the International Criminal Court, Peace Palace, War Crimes Tribunal, and Europol. It is rich in history and is the home of the central government, the Royal family, and the location of many foreign embassies in the Netherlands. The ancient cultures, traditions, and historical sites in this area have all contributed to shaping the local people and culture. Kohn Kaen is the commercial and political center of northeastern Thailand featuring a number of upscale restaurants and hotels, as well as being the largest center of education, healthcare, and technology. Montevideo has been a major producer of IT services and software in South America. With over 500 IT companies and the influence of gaming startups, Montevideo is the place for those looking to learn more and get into the industry. 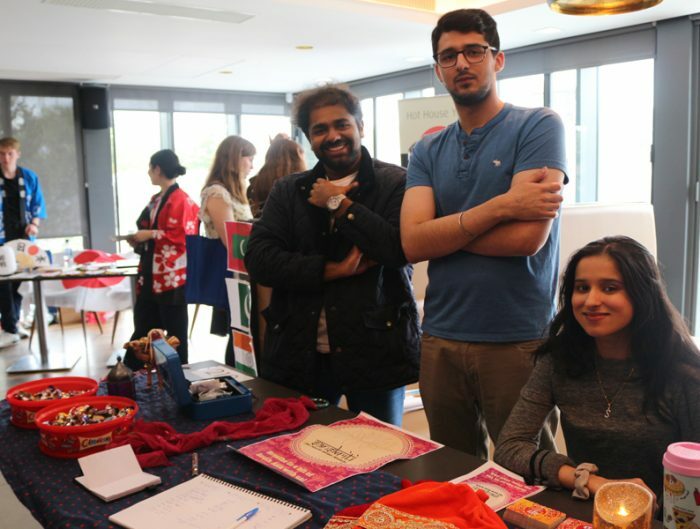 Reading sits in the Thames Valley, the Silicon Valley and technological hub of the UK. Reading is home to major technology companies like Microsoft, Cisco, Verizon Business, and Oracle. With the high number of technological companies in the area, there is lots for those interested in the tech industry.